Probably many have heard from their grandparents that eat apples with the peel is very useful. It is believed that it contains the highest concentration of vitamins and nutrients. However, in the harsh climate, Russians have had little opportunity to enjoy the fruit grown on their own plot, all year round. Because of this the consumer have to settle for imported fruit, around which has formed a lot of myths and doubts. The imported product, even such as Apple, which can cause the consumer a lot of doubt. It would seem, what bad can happen if you eat an Apple with the skin? If we talk about the gifts of their own garden, of course, to worry about this makes no sense, because you know exactly what you treat your fruit trees, how to fertilize and watered. Perhaps everyone is used to eating apples with the skin. But is it as safe as it seems at first glance? If you have ever held in my hands an Apple imported or perhaps wash it, you probably could see a kind of oily film covering the surface of the fruit. What is it? Do some harmful substance? Most likely your fears are unfounded, because the apples before transporting just covered with a thin layer of common wax or paraffin. And it's not even the attractiveness of the product, although, of course, shiny, glossy apples look very nice. It's all in the safety of fruit, extending their shelf life, because the apples have to travel great distances before you get to your table. For younger children, the apples always better to clean, and it is not that the rind of harmful. Just baby not always able to chew and digest the peel. It can damage her delicate mucus membrane or even choke. When apples in large quantities are close to each other, we can start to deteriorate very quickly. It turns out that ripe fruit is able to produce specific substances - plant hormones, which can affect neighboring fruit. If one Apple during transport was damaged, there is a high probability that you will suffer and the rest of the fruit. For this reason, apples are treated with paraffin. The resulting film prevents the spread of plant hormones, and thus helps to preserve these fruits for much longer. Do not worry too much about the wax, because it is not harmful to the body, especially in such small quantities. Certainly, intentionally to use it in food is not worth it. That's why the apples, brought from the store should be thoroughly rinsed under running, preferably warm water with some soap and special soft brush. So you can be sure that you completely got rid of the paraffin film. After the apples are washed, they should be wiped with a soft towel, after which it is eaten. You see, to clean imported apples is not necessary. Remember that after removing the foil, the apples can start to rapidly deteriorate, so it is recommended washing imported fruits only just before use. In the Internet you can find information about what the gardens in Poland are treated against pests for more than 40 times per season. Of course, this is unsubstantiated rumor. In fact the same Polish apples pose no more harm than any other. 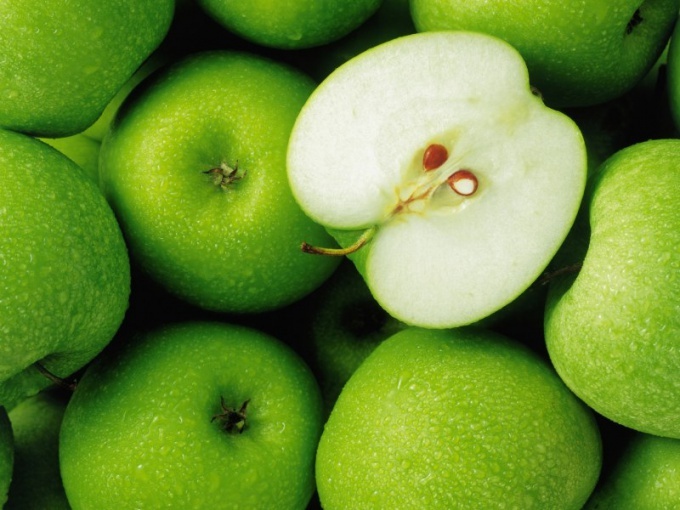 Some believe that peel imported apples - the focus of harmful pesticides and nitrates. Is it really so? Of course, on the one hand, nothing to worry about, because usually all the products, especially those that are transported across the border, are subject to mandatory quality control. However, on the other hand - is not it easier to protect yourself and peel the Apple? After all, every gardener knows how much work you need to invest in order to get a decent crop of fruit. First of all, the trees should be treated against pests and, of course, fertilize. If you do it excessively, it can actually turn a crop, not too healthy. The fruit will accumulate too much nitrate and other chemicals. If this happens, then brush the apples useless, because the chemicals accumulate not only in the peel and pulp. This applies not only to imported fruit. The domestic Apple production grown with violations of agronomic norms can be just as harmful and imported. The solution is simple - buy apples here, you know the grade and the supplier.